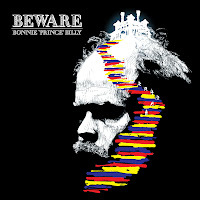 Laid Off Loser: Laid Off Loser Album of the Day: "Beware"
There's a song on Beware, the latest from Will Bonnie "Prince" Palace Billy Oldham, called "Without Work, You Have Nothing," and it's hard to tell if he's being serious or ironic. In either case, from this side of the fence — on a sunny spring day spent mostly outside — it's hard to agree. Nonetheless, this 13-song set of sad-sack neotraditionalist country, drenched in fiddle, pedal steel and Crazy Horse reverb, is as soothing and soul-quenching as an afternoon beer.